The Squash Engine mission is to provide an unparalleled, highly valuable, highest quality result for clients, customer and corporate partners. U.S. Squash Hall of Famer John Nimick is a visionary marketer who identified the opportunity to create increased spectator access and sponsor exposure by using nontraditional venues for established sports championships. Nimick’s comprehensive, value-driven approach to sports championship and entertainment management quickly established Squash Engine as the leading promoter in international squash and enabled the company to leverage its success to provide similar services to the tennis, golf and classical and popular music markets. John achieved a ranking of No. 2 on the World Professional Squash Tour in 1990-91 and won four “Grand Slam” singles squash titles during his professional career. John also won the Intercollegiate Singles title and U.S. National Singles title and numerous other singles and doubles championships. He resides in Boston with wife Kate of 22 years and son Tyler, a junior at Brown University. For 25 years Squash Engine has produced successful squash events in world class cities spanning two continents. 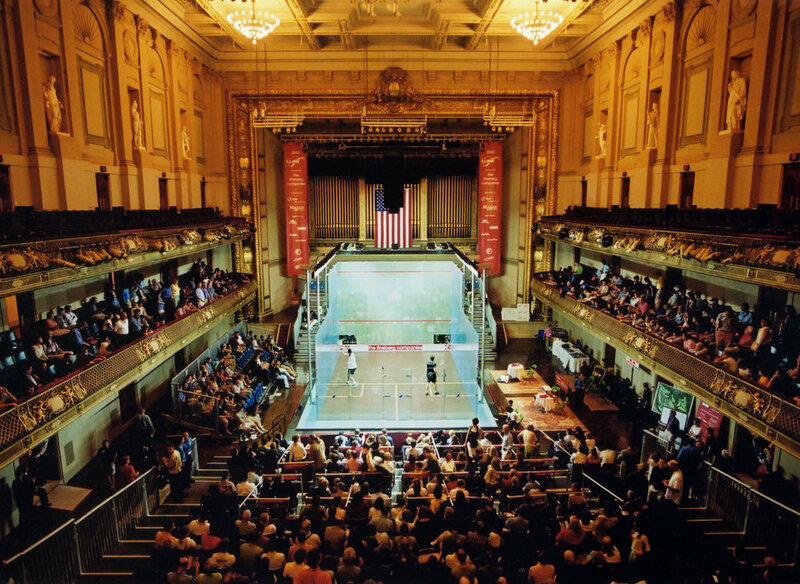 From the annual Tournament of Champions in New York City to special events like the Showdown at Symphony in Boston (at left), each event carries the distinctive touches that only Squash Engine can deliver.